It's possible to send constant data to the MCP* chip. This will save you some time to change the output faster. 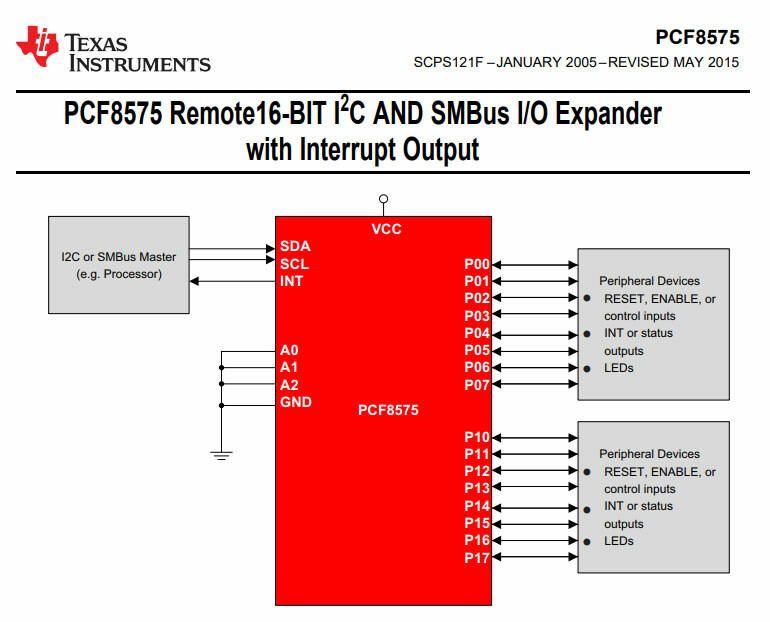 But after you send the pulse, you have 75*2uS the time to change the ouput of the MCP* to become a input. And after that, you need to read all the data from the DHT22 and is you data bus than fast enough? OK, OK, I know my chance is small. But before switching to SPI, I am taking a last look at the hopeless I2C timing diagram. I agree that I cannot overcome the two hurdles B and C+D, to get to point E where I can use MCP23017 pin change interrupt to catch up. Only hope is taking some illegal drugs, like those dishonest sports guys, to cheat the system and get my gold medal. When the bit is low, its only 28uS high. And you need also get that one. So, a faster SPI bus would help. But I thing you can't run them easily at >1MHz at a long wire. And that's what you need. You could use something like this. But I think that's a little bit overkill for this. Are there no other sensor that you can directly connect to a data bus? I assume that you want to use a io extender, because you can place than arround you house and connect different things to it. A other possible is that you replace the io extender for a small microcontroller. The microcontroller can translate the signal from the sensors to a robust transmission line between him and the pi. Yes, I learnt DHT22 from a review of ladyAda who says it is good, and you can buy from adaFruit. But now I know DHT22 is perhaps good for hobbists and hacker, but not OK for I2C users. So I am looking for an I2C compatible sensor. Just now I searched my favourite TaoBao shop and found the following goodies. It is very likely I would order the cheapest 32 yuan hts module, and also the as cheap 24 yuan power monitor module. 2. When the bit is low, its only 28uS high. And you need also get that one. So, a faster SPI bus would help. 3. can't run them easily at >1MHz at a long wire. 4 use something like this. a little bit overkill for this. 5. Are there no other sensor that you can directly connect to a data bus? 6. you want to use a io extender, because you can place than arround you house and connect different things to it. 7. A other possible is that you replace the io extender for a small microcontroller. The microcontroller can translate the signal from the sensors to a robust transmission line between him and the pi. 1. to 4. - I agree with you. 7. Yes, my long term plan, perhaps 2 years from now, is a distributed Rpi system, say, Rpi3B+ x 4, and RpiZW x 4. That is why I am very interested in pigpio, which seems to be very powerful for distributed Rpi + Windows. Last edited by tlfong01 on Sat Aug 11, 2018 1:03 am, edited 1 time in total. Okey. The only (possible) down-side of that sensor is that it doesn't have a changeable "address register". (I didn't read the datasheet). So, if you want to read out all those sensor on the same bus are going to replay at the same time. If they had only one, you could use the I/O extender to change the address pin. In that case you can read only one (and the others will have the same adress). I you concern about the power use of the hole system. Than it's better to use one pi, and the rest small microcontrollers, because they use less power. 1. Okey. The only (possible) down-side of that sensor is that it doesn't have a changeable "address register". (I didn't read the datasheet). 2. So, if you want to read out all those sensor on the same bus are going to replay at the same time. 3.If they had only one, you could use the I/O extender to change the address pin. In that case you can read only one (and the others will have the same adress). 4. I you concern about the power use of the hole system. Than it's better to use one pi, and the rest small microcontrollers, because they use less power. 1. The new humidity temperature sensor module I have ordered has only 4 pins, Vcc, Gnd, SCL, SDA. No hardware address pins. 2. 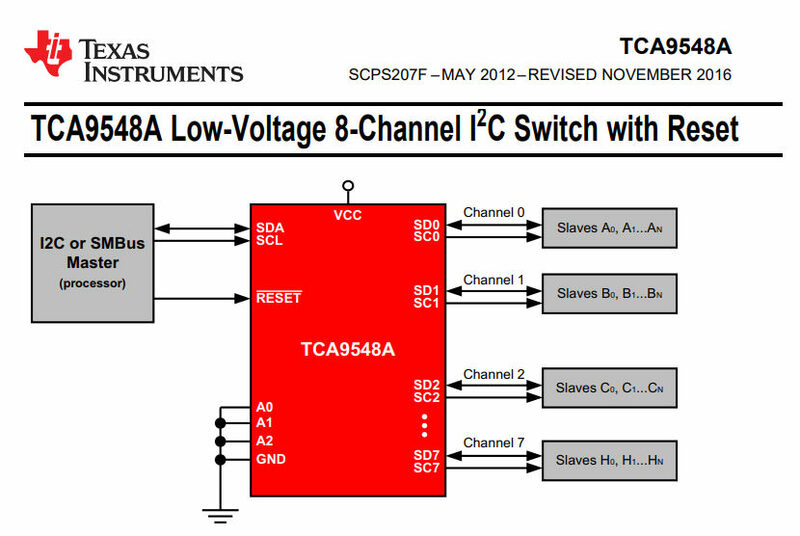 I usually use a I2C demultiplexor/switch to switch one of many chips (up to 8 x 8 = 64 chips) with same I2C address. I also make use of the enable pin of the TSX0104E level converter to demultiplex I2C channels (so I can demultiplex as many as 128 I2C channels). I used to use 4 Rpi GPIO pins to select 4 I2C channels without any problem. I once used demultiplexor ICs HC137, HC138 to save Rpi GPIO pins. My greedy approach is scaleable, though gets exponentially messy. 3. I don't seem to have heard the term IO extender. I think MCP23017 is IO expander. I also heard of I2C expander and also I2C extender. Last edited by tlfong01 on Thu Aug 09, 2018 2:01 pm, edited 3 times in total. Nice, that will work used fine. One of the many confusing things is the pad. What the hell is a pad? Is it a piece of physical metal stuck on the chip/die, or one logical bit of an eight bit data register/buffer? Don't bother to explain or clarify anything for me now. I will try to read the datasheet and app notes one more time and think harder to clear my mind. This way I will understand and remember better. I googled to read about IO pad. I found out that this pad thing is usually discussed in CMOS chip design. It is indeed a piece of metal 150 sq mm, 'stuck' in the die/chip. But of course the pad has it uses. I skimmed 2 references, got a very rough idea, and gave up. My conclusion is that to fully understand the pad thing, I might need to spend some 20 hours or more. And because this pad is irrelevant to my use of MCP23017. So I stopped here. The circuitry on a chip has to connect with other circuits. These may be chips or display devices, transducers or electro-mechanical devices and the capacitance connected to the chip could be very large. In some cases the devices being driven will require or supply TTL signal levels, in others they may be liable to be short circuits, have high noise levels or be liable to discharge spikes of several kV. Each of these situations will require the imposition of circuitry to interface the chip to the external environment. Most IC designers avoid the problem of pad design and take pad drivers from standard libraries. 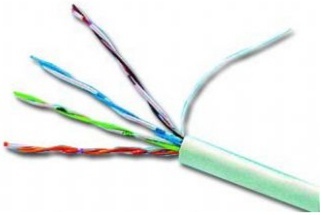 Physically, pads are the squares of metal, generally 100-150 mm square, that are connected to the pins of the package with bonding wires. The word pad is often used to also include the circuitry that is used to interface the CMOS logic within the IC (typically composed of near minimum-geometry transistors) to the outside world. At least two pads in each circuit will be used to connect the chip to the VDD and VSS power supply lines, while other pads will be used for input connections and output connections. Some pads may also be required to be bi-directional, (for use both with input signals and output signals). In such cases there is usually a control connection to determine the direction of signal transfer. An important function for all pad driver circuitry is the protection of the chip circuitry against destruction due to overvoltage pulses or sustained overvoltages. These may be due to electrostatic discharges or due to faults on other circuitry that cause unexpectedly high voltages to be applied to the chip pins. Well, in this case the "pad" isn't that imported for the use of the MCP23017. It's just a fancy name. One of the many confusing things is the pad. What the hell is a pad? Is it a piece of physical metal stuck on the chip/die, or one bit of an eight bit data register/buffer? So, is your MCP23017 with the clock speed fast enough for you purposes? Thanks for your detailed explaination, and conclusion that the Rpi I2C is not fast enough to ask MCP23017 to talk to DHT22. I have not yet read the TI app report on I2C bus. I have made a list of reference I need to read again, before I try to follow your explanation. Now that I have read the references, I will comment on your argument and conclusion in my next post. Last edited by tlfong01 on Fri Sep 14, 2018 8:44 am, edited 2 times in total. 3. In the case of the MCP23017 if you want to change the output of the GPIOA and the GPIOB you sent this information to him: device opcode -> register address, where the data need to be stored -> data for the GPIOA -> data for the GPIO. 4. each clock pulse representative one bit transfer data you clock speed is 100kHz, the duration of one clock cycle is 10uS. 5. if you want to send the data that are described above. It will take at least 4*8*10uS = 320uS. (4 data packeges, each is 8bit). And if you doesn’t want to change the data of the GPIOB, it takes 240uS. 6. So, this means that it will take at least 240uS to send data from you pi to the output register of the MCP23017. 7. What does this al means to you. Well we conclude that with a clock speed of 100kHz it takes around 240uS to send data from the pi to the MCP23017. 8. And this means that you clock speed is to slow to generate the pulse that is required for the DHT22. Well, after reading your recommending references, I can now barely follow your argument. I think there might still be some hope. Your 16 bit mode example seems to write to GPIOA, then GPIOB. What if I use 8 bit mode, disabling address pointer increment, and write to GPIOA, and again GPIOA? Is your MCP23017 with the clock speed fast enough for you purposes? 1. I think you use a library for sending data to the MCP23017 by you I2C bus. 2. You what to buy a nice cold beer from a supermarket. There are a lot of options here, but you go to Walmart (device opcode). At the store you go to the beer aisle (register address). And you take out of the shelf (data) a nice cold beer. ... To send data to him, each clock pulse representative one bit transfer data, ... clock speed is 100kHz, one clock cycle is 10uS. 4. So, this means that it will take at least 240uS to send data from you pi to the output register of the MCP23017. And there is also a slide delay before the data is present at the output (500ns). 6. What does this al means to you. Well we conclude that with a clock speed of 100kHz it takes around 240uS to send data from the pi to the MCP23017. And this means that you clock speed is to slow to generate the pulse that is required for the DHT22. To follow your argument, let me walk slowly. I have written and tested a "Minimal, Complete, Verifiable, NoProgram Example (MCVNE) as list below. I will use this as an example. There is no need to read my example, though. 1. Yes, I use import smbus. 2. My function to write a byte to a mcp23017 register takes 4 parameters: i2c bus channel object, mcp23017 device address, mcp23017 device register address, the byte to write. 3. Here I am a bit confused. I think what I need to do first is ask MCP23017 to send the start signal, which consists of 2 steps, (1) send a 50ms High signal, (2) send a 26mS signal. So I will write one data byte to GPIO A, and another data byte again to GPIO A.
I am not sure if I read the datasheet correctly, I will pause here, read the datasheet, and come back later. One thing I need to first refresh my memory is the I2C block write command list below. Now I have written a function to repeatedly write a 3 byte block, to check timing. The test function is summarized below. The complete program of 85 lines long is listed in the code block. The displayed waveform will be shown in the next post. I am making a very rough calculation of timing of writing 3 bytes to MCP23017 register IODIRA. writing one byte takes roughly 133uS. Now I need to test toggling pin in GPIO A, or OLAT A, to see how much time it takes to make a toggle. So, a faster SPI bus would help. But I thing you can't run them easily at >1MHz at a long wire. And that's what you need. 1. Perhaps I can use software bit bang type I2C packages. Then I can have high speed I2C, 400kHz, 800kHz, or even higher. 2. Or do some sort of multiprocessing. For example, to generate the DHT22 Start Signal, I can run 2 python processes, one process to write the first, Low level part of the Start Signal, another process to write the second, High level part of the Start Signal. Perhaps I can use 2 MCP23017s, one controlled by one process. 3. 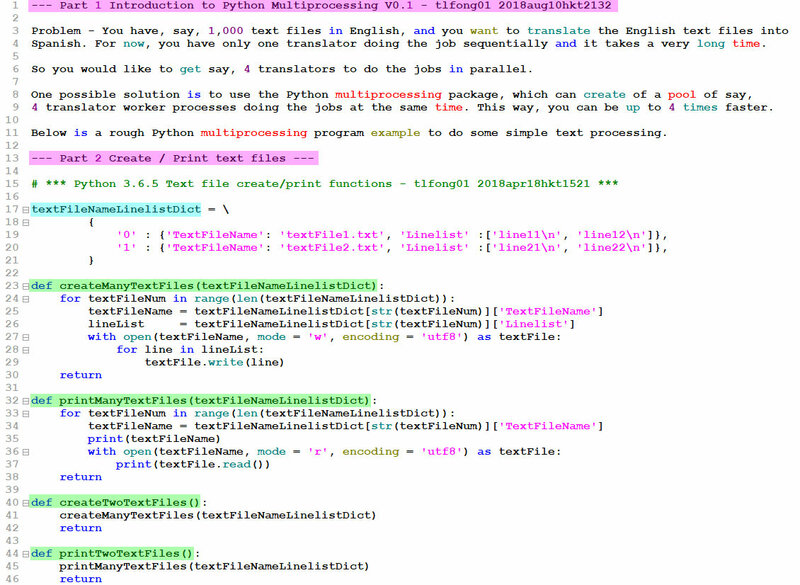 Some two months I ago I started learning Python multiprocess and found that it is not that difficult to implement. I might consider using multiprocessing in my home automation project. To refresh my memory, I am reading some of my old multiprocessing program, to check out if I can still understand my not well commented functions. 1 You can set the I2C in the hardware of your pi faster, as I belive. Perhaps its easier to connect the sensor directly to you pi. Because the code is already "long" if you connect it directly to the pi, As show here, there is somewhere a example of you sensor. So, how you can integrate this in you system design. I assume that you gone use this connector for each room you want to measure / control. Than you can dedicate one (pair) wire to use as a dedicated transmission line for special stuff. You can use the MCP23017 to select with device you want to communicate with. The MCP23017 can control for example a analog switch. I think this is a easiest way for you. But the most easiest is to chose a sensor with a easier communication bus. This sensor could be relative cheap, but if you need to spent a lot of time, and possible more than one part to control it. Is it then still cheap? Please let me know were you need some advice. I unfortunately doesn't know much about Python. I started a couple weeks back with it. Wait a minute. I was looking at you oscilloscope picture of the I2C data that you provided. But I found something suspicious about the signals. I see in that picture, you bus is low when its inactive. (When you don’t use the bus its 0V). 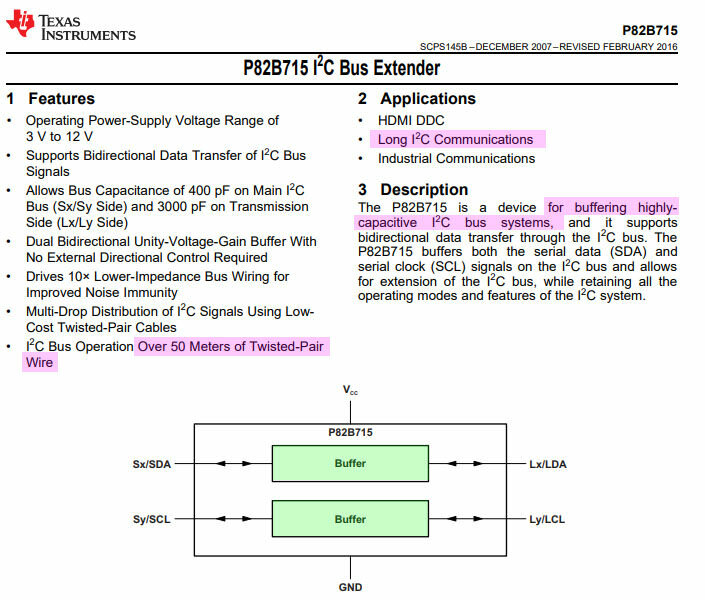 But a proper I2C bus is a high when its not in use. Because of the pull up resistor. I displayed the I2C signals (after level shifting by TSX0104E, and buffered by HC04) and found them more or less OK. Wait a minute. I was looking at you oscilloscope picture of the I2C data that you provided. But I found something suspicious about the signals. I see in that picture, you bus is low when its inactive. I displayed the I2C signals (after level shifting by TSX0104E, and buffered by HC04) K.
Ah, here is one problem you might help. Some days ago when I was checking out why my I2C clocks always shows 100Khz, even I modified /boot/config.txt to set it to 400kHz. I found that if I used my scope probe to directly check/touch I2C Clk, I immediately got Rpi I2C transmission error message. I guessed my scope probe input impedance is too low, and so overloaded TSX04E's I2C CLK output. My get around is to use HC04 as a buffer. I usually use this trick to off load SPI, UART lines. To avoid future scope display watchers' confusion, I should have inverted the I2C signals twice. (1) Invert I2C SCL, SDA twice by HC04. 2.1 Add one more level of abstraction to the read/write/print MCP23017 register functions. (3) Last time I tested repeatedly sent 3 bytes to DirRegA, this time I do the following. (4) Include design notes and output sample with the program listing. I read something also about that, it should have worked. Did you restart you py after you change that. Or maybe you need to make a new topic about that problem. Anyway, normally it should not make any different if you connect you scope probe to you circuit. Because you scope probe have probably a input resistance of 10M ohm and a capacitor of <16pF. And the input of the MCP* is 135pF. So, I think you wiring is to long. And did you twist the clock with a ground and the data with the ground? If I had some time to spend I will look into the code. Some days ago when I was checking out why my I2C clocks always shows 100Khz, even I modified /boot/config.txt to set it to 400kHz. I found that if I used my scope probe to directly check/touch I2C Clk, I immediately got Rpi I2C transmission error message. I guessed my scope probe input impedance is too low, and so overloaded TSX04E's I2C CLK output. 1. I read something also about that, it should have worked. Did you restart you py after you change that. Or maybe you need to make a new topic about that problem. 2. Anyway, normally it should not make any different if you connect you scope probe to you circuit. Because you scope probe have probably a input resistance of 10M ohm and a capacitor of <16pF. And the input of the MCP* is 135pF. 3. So, I think you wiring is to long. 5. If I had some time to spend I will look into the code. 1. Well, @samtal started the I2C baud rate setting discussion a week ago, and concluded that software bit bang I2C is the only quick solution. 2. I only remember the probe resistance is 10M. I forgot the capacitance. I need to check my scope's user guide. 3. Yes, perhaps wire too long. I might try to make it shorter and do it again. You remind me that even my new program does not run OK every time. Perhaps only 5% runs to completion, without the "os error - bad transmission" message. 4. What do you mean by "twist the clock with a ground and the data with the ground?" This is indeed hard to guess. 5. Ah, I forgot to show the main test function. I originally planned to show only the main test function and not the whole boring program. The complete program still needs more polishing, so not readable yet. Anyway, here is the main function. Just read the highlight part, don't bother to look into the boring details. writeRegOneBlock(i2cCh, dvAddrByte, 'IODIRA', writeBlock) < bug!!! Here are the main functions, just in case you would like to look at the big picture. Don't bother the details. Good night, see you tomorrow or Monday. Have a nice weekend.